Clinton Economic Development Commission hosts a tourism roundtable for destination related businesses in Clinton. Special guests from the Mystic Chamber, CT Port Authority and CT Economic Research Center participate. Clinton Economic Development Commission hosts a tourism roundtable for destination related businesses in Clinton. Special guests from the Connecticut Convention Sports Bureau and CT Economic Research Center participate. 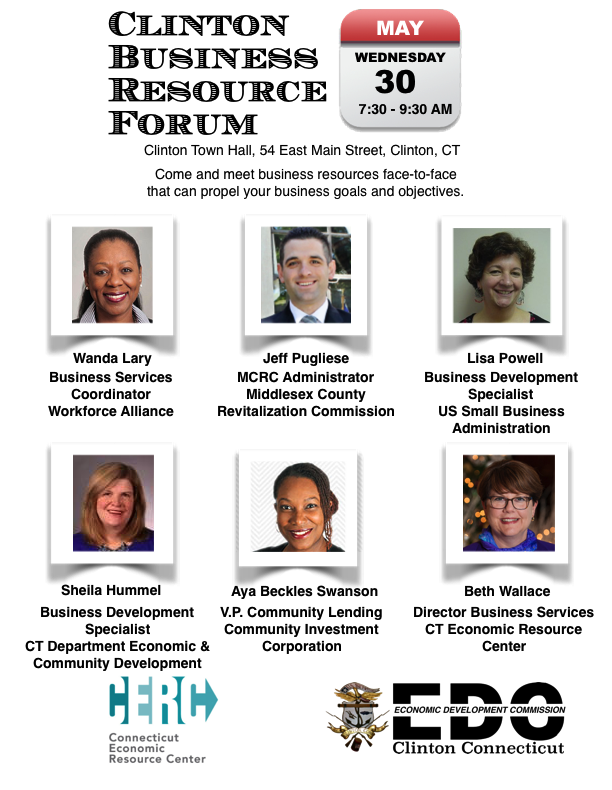 Our panel of speakers includes representatives from the CT Department of Economic & Community Development, the US Small Business Administration, the CT Economic Resource Center, the Community Investment Corporation, Workforce Alliance, and the Middlesex County Revitalization Commission. This event also offers an opportunity to network with municipal officials and commission members as well as delegates from federal, state, and local agencies, all tasked with supporting Clinton’s business community. 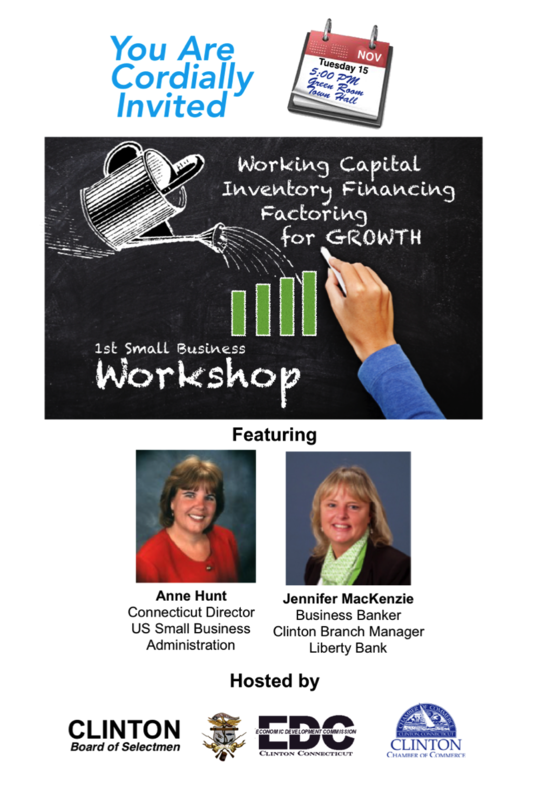 This event is free and open to all business owners in Clinton. Breakfast is included. Sign up online at https://clintonbizforum.eventbrite.com or call Sadie Colcord at (860) 571-6204 no later than May 23rd.